Advice is plentiful at the start of any big life journey: marraige, pregnancy… and starting your PhD. Friends and family have no hesitation in offering it and this blog is now but one amongst many offering stories and ideas about the start of the PhD journey. What advice should you listen to and what should you ignore? This post is by Gillian Cornish, a PhD student at the School of Geography, Planning and Environmental Management at the University of Queensland in Brisbane, Australia. She’s trying to figure out whether urban policy can be developed to respond to social inclusivity challenges and making sure everyone can access their citizenry rights in the cities they live in (poor, rich, young, old, boy or girl). It astounds me how people feel authorised and qualified to comment on my recent PhD undertakings. Advice relating to studying, future work prospects, and study-work-life balance was not actively sought, but offered freely over coffee, at parties, and in hallways. Anywhere people could pin me down, they gave me advice. I soon realised that there are divergent views on how to approach a PhD, some directly contradicting each other. I heard the ‘good, the bad and the ugly’ from people who had survived their PhDs. I also heard war stories from husbands, wives and children who had loved-ones complete their doctoral studies. Lastly, from those completely unfamiliar with the process/ lifestyle/ madness (whatever you want to call it), I fielded confused questions about why I get paid to study before receiving vague encouragement on my new life chapter. No matter which of these groups you sit in my life, I heard from all of you. Don’t misunderstand me. I’m not closed to advice and, in fact, I think I receive it quite well – taking what I need and politely discarding the irrelevant or outlandish. And I certainly appreciate others taking an interest in my decision to do my PhD. It was a big decision to make. I thought it was worthwhile to post the advice I’ve received, both as a first act of procrastination as a student and because it’s intriguing what people think of doctoral studies and ‘the gate to academia’. Here is a short selection of the advice I received. Take this time to shine: Taking three years to read, study and write whatever you’re most passionate about is both a unique and privileged position to be in. But to make it worthwhile, you need to find a niche and follow your passion. Balancing these two things will be my first challenge. Read: I was told to read all of the fiction I could before starting. Doctorate veterans warned me I’ll never want to read again once I (eventually) finish. And when I start studying, I should familiarise myself with all of the key pieces of literature and understand them to the nth degree. …but don’t read everything: This advisor suggested only read the important bits – abstracts, introductions and conclusions. His view is that literature reviews are old fashioned, unfinished and an impossible feat, considering the breadth and depth of literature available. NB: He’s a traditional scientist, not a social scientist. Write everyday: Write notes, write journal articles, write blogs, write to your supervisors… write! Practice your prose. Be a sponge: When you start your PhD, you need to be a sponge: absorb as much information and as many experiences as you can. When it comes to data collection, you’ll test your durability as a sponge. You’ll probably lose some low-quality water during this time but you’ll soak up an immense amount of high quality water too. That’s alright so long as what you absorb is higher quality than what you squeeze out. The same goes for analysing your data. I think what this recent graduate was trying to say was immerse yourself in what you’re doing – the literature, the writing, the experiences of a PhD student but don’t be afraid to continually test yourself and your theories along the way. It’s all part of the process. Thinking hard is hard – be brave: You will doubt yourself because it’s not easy. I haven’t (yet) found the need to isolate myself from the world for days on end to figure out unanswerable question but I’m told my time will come. Fake it ‘till you make it: Thinking hard might not be easy, but don’t let others see your every hesitation or self-doubt. Having some bravado is a good thing. I’m taking this piece of advice with a pinch of salt because PhDs can be an isolating and lonely business. Get a job at a pizza shop: This one might seem a little left of field, but there’s logic behind it. Getting caught up on one problem, your thesis, can be a self-absorbing exercise. To be put in a room with twenty other people who are all doing the same thing can be a nightmare. Working at a pizza shop part time during your doctorate can help you preserve a sense of reality and keep you ‘relatable’ to the non-academics in your life. Build a support network: Creating a haven of safe people you can talk to is an important piece of advice. This should include students who can understand your thesis . I think this should also include people beyond of your student network. Talking to people who have no idea what you’re talking about can be a healthy reminder that you’re just working on one small piece of a big, complex world. Don’t try and save the world overnight – just answer one question: Easier said than done. Interestingly, advice varied depending on who was offering it. First year and confirmed students were enthusiastic that another had made the crossover, boasting flexible lifestyles and social occasions with likeminded scholars. Whereas newly graduated PhDs were still showing some of their battle scars and openly shared their war stories. They made me second guess my decision, warned me of what could go wrong, and made me wonder if ‘Dr’ meant much on a CV (most of them were still looking for a full-time job). Senior researchers guided me through and gently reminded me that this is no small undertaking but believe that I can do it. They said things like, “You’ll do great,” and, “It’s well worth the insanity”. Their mantra was that I should find a niche and don’t join the PhD bandwagon of thinking an academic’s life is a breeze. Note: No advice was received from mid-candidature students. Perhaps I sub-consciously kept away from them and their crazed, on-the-verge-of-a-breakdown eyes. Hopefully I can avoid becoming a story of lunacy that gets passed down to future PhD students. I don’t want to be the 18-year student, or be known as ‘crazy eyes’ during my mid-candidature, or have too many midnight cold sweats, or feeling utter desperation and isolation from the world. I feel that my advisors, from all corners of my life, will help see me through to the other side and avoid these undesirable outcomes. I can tell you that, as a novice PhD student, all advice was welcome. Now, it is my job to filter through these words and apply what wisdom I can to my own journey. Who knows, maybe I’ll be the one dishing out my two-cents worth sometime soon? What about you? What’s the best (or worst!) piece of advice you have been offered about the PhD journey? This entry was posted in Getting things done and tagged self help advice. Bookmark the permalink. What’s the best (or worst!) piece of advice you have been offered about the PhD journey? 3) learn to say no without explaining the no because that opens the door to yes. That’s exactly what It’s happing in my life & loving it , keep “crazy eyes at bay” I am at the same time student, teacher, researcher, presenter at conferences, member of research committee & all of this help me to build on my academic life & of course on CV. From going through PhD and watching others, i think the most important thing is finding the best supervisor FOR YOU. One of your mates might think their supervisor is the duck’s nuts (I’m a 30 year old Aussie and just realised how dodgy that saying is! ), but that DOES NOT mean you will have the same experience with that particular supervisor. Your supervisor is so much more than just an academic advisor or boss- there is a significant chance that, male or female, they’re going to have you crying your eyes out in their office at some point. They are your academic parent/s. How they work through your thesis with you will be what makes or breaks your psyche. So although your topic should be something you’re interested in, considering your personality and that of potential supervisors is the best advice I could give. As a fairly experienced supervisor who was also once a PhD student I think it is important to distinguish between advice (based on some form of knowledge, expertise and/or relevant experience) and opinion. Lots of great advice. As a crazed mid-candidature student, what resonates most with me is the advice to write everyday. I keep an assortment of pens, pencils, note-pads, journals, diaries in every room in my home, handbag, car,office. I write little and often, no filters. Crazy, I know! I love your sponge metaphor. I’m in my 4th year of a PhD (in the US), and I often look back at my first year and ask, “did I get anything done? !” The answer is not that much that could be checked off a list, but in reality I think my sponge absorbed a ton that year. When I talk to first-years who are concerned about not making enough “progress,” I share this reflection. Your sponge has to absorb so much – including implicit lessons, like what makes a good research question? What makes a good talk? before you can start to make measurable progress toward the degree. Great blog post – I enjoyed reading. And absolutely agree with what you have noticed – everyone wants to offer advice! Thank you to everyone who read my blog post. I wasn’t sure if any of this advice would resonate with student and academic colleagues. I’m so pleased to read all of your replies and comments. I should probably note that my ‘advisors’ mentioned are not just my formal supervisory team. They are a range of experts, friends, former workmates and post-grad student peers who have provided valuable input into my PhD life decisions and academic directions. PS: Somewhat ironically, this post was published in probably the busiest weeks I’ve had since starting my PhD with data collection and fieldwork underway, consulting report deadlines and other commitments looming while being sick and I crossed over into full ‘crazy eyes’. I’m reporting back to let you know that I survived! 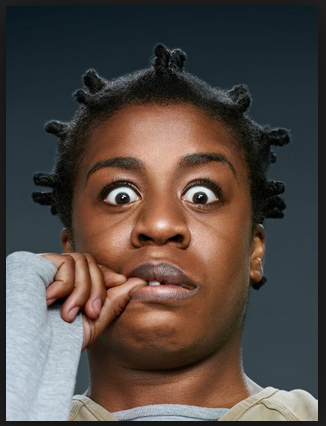 Crazy eyes might be inevitable but it’s not the end.